Here at Gallery Collection Red we aim to get you acquainted with the works of contemporary artists born and educated in the former Soviet Union Republics, behind the "Iron Curtain". Russia, formerly one of the republics of the Soviet Union, has always been an important centre for the education of professional artists and world-known Moscow schools such as Vasily Surikov Art Academy of High Education, Sergey Stroganov State Academy of Art, All State Institute of Cinema, St. Petersburg Art Institute named after Ilya Repin, Urals All State Academy of Architecture and Art in Yekaterinburg and others . The unique talents and the professional skills of artists from the former Soviet bloc countries have not yet become fully known in the West. Collection Red is a new opportunity for these artists to display their works to the international public. Although the artworks presented at Collection Red may vary in genres, they all carry the same constant brilliance and versatility in displaying rich cultural traditions of the former Soviet Union States. We thank you for your interest in our website and art, and welcome your comments and suggestions. 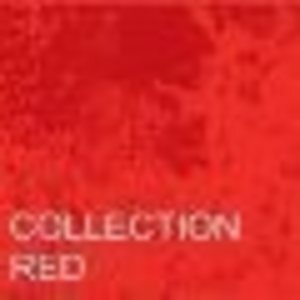 To receive listings of the artworks and details of our forthcoming shows, 'like' us on Facebook https://www.facebook.com/#!/collectionredLondon or follow us on Twitter @collection_red. To receive information by e-mail, please write to us on [email protected] We are happy to assist you in purchasing the art work you are interested in and are ready to answer any queries relating to the artist's work, as well as our website.